The campaign period for the candidates for the 2019 midterm elections starts next month, but it pays to get an early start and learn about Senate hopefuls to make more informed decisions come Election Day. 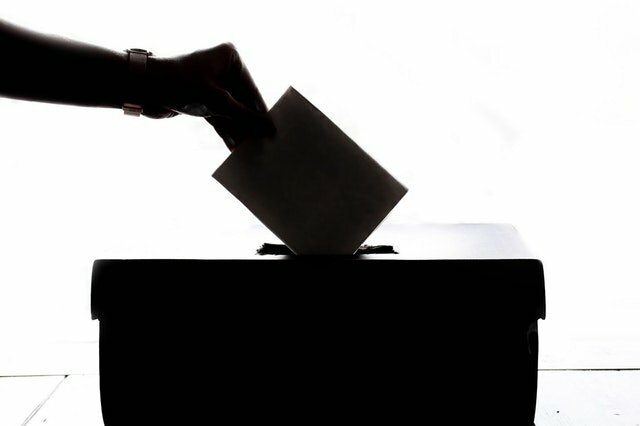 Several senatorial aspirants have already made their rounds on the ground, TV commercials, and social media in the hopes of catching voter attention early. As Modern Filipinas, we can’t afford to be wary, especially when Senatorial aspirants misinform, like Freddie Aguilar, who claims that China has no history of occupying lands. Like Senatorial candidate Larry Gadon, who used the wrong form to file his Certificate of Candidacy (COC), we don’t want to end up yelling “Hindi ako bobo!” or voting for the wrong candidates. There is too much at stake. Below you’ll find quick info on six of the more known candidates for the upcoming 2019 poll, including their achievements and legislative agenda. Cynthia Villar is gunning for another term in the upper house, under the banner of the Nacionalista party. 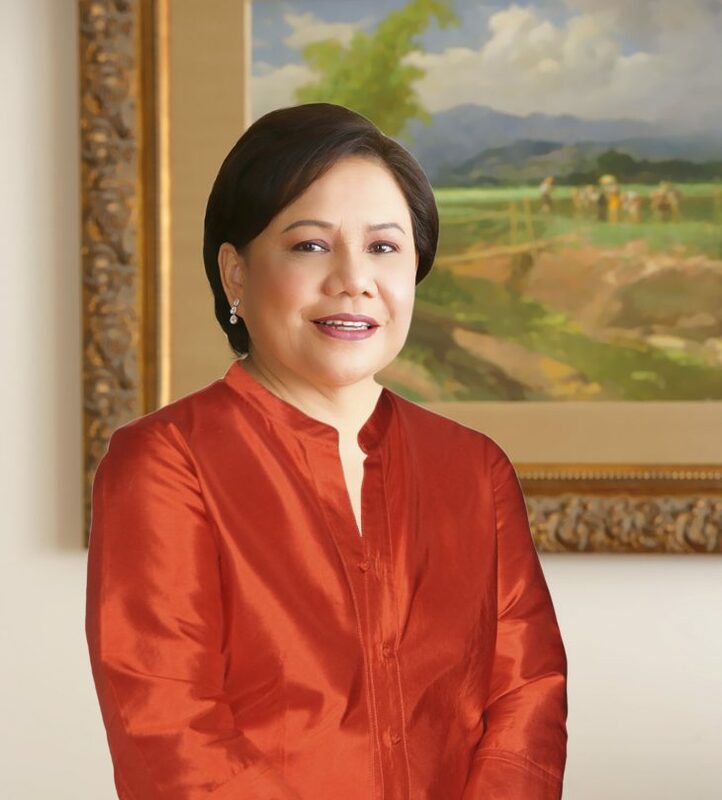 Retaining her nickname as Mrs. Hanapbuhay during her 2013 Senate run, Villar aims to push for more programs on agriculture and livelihood in the country. By focusing on development work, she hopes to make farmers competitive and their business more profitable. As the Chairperson for the Senate Committee on Agriculture and Food, Villar was able to institute over 1,000 livelihood programs and be of help to about 1,000 farmers. Reporters have brought up her affirmative vote for the Tax Reform for Acceleration and Inclusion (TRAIN) law — one of the factors being blamed for the soaring price of goods in the market. 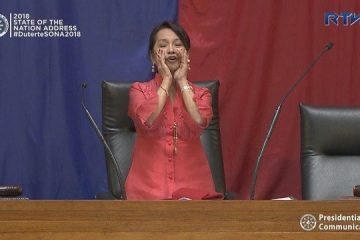 Unfazed, Villar shares that her decision to vote in favor of the TRAIN law came when there were no predictions that it would cause a chain reaction in basic commodity prices. 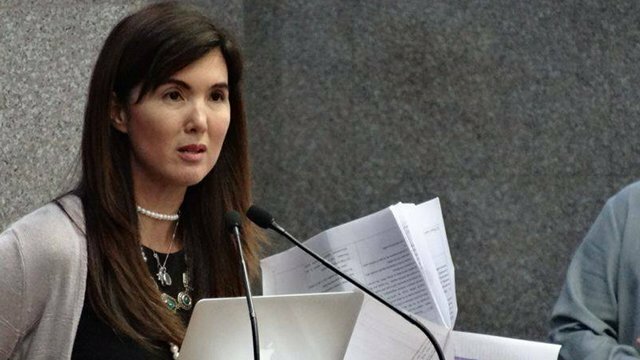 House Deputy Speaker Pia Cayetano is a staunch advocate for health and women’s rights. As the youngest woman elected in the history of the Senate, she is showing that there are no limits to the achievements of Filipino women. Cayetano has served two terms as senator and is eyeing the Senate seat anew. She is running under the ruling party, PDP-Laban. With over a decade of experience in public service, she has promoted measures that benefit women, children, and the elderly. 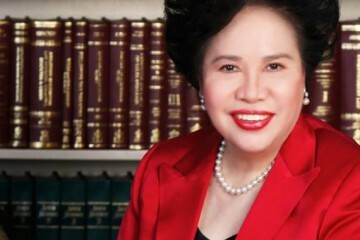 She worked for the passage of laws, such as the Reproductive Health Law, Sin Tax Reform Act, and Graphic Health Warning Act. If elected to Senate, Cayetano aims to raise the bar of business competitiveness of Filipinos by pushing for English literacy. In an interview before filing her certificate of candidacy, she clarifies that increasing English literacy is not anti-Filipino. Rather, it shows other countries that Filipinos are capable of speaking the language well. Florin Hilbay is running under the political party Aksyon Demokratiko and is a part of the opposition coalition. He became the center of the public eye after becoming the Solicitor General in 2014 under former president Benigno “Noynoy” Aquino III. His appointment took him to the forefront of issues, such as the Reproductive Health Law and the South China dispute. 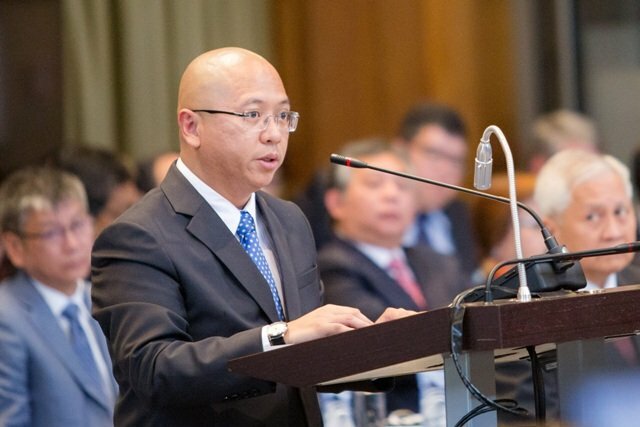 As a vocal critic of the Duterte administration, Hilbay shares that he is eyeing the Senate seat to fight for democracy. Hilbay pledges to give Army members a voice if elected. Those unhappy with the territorial and maritime dispute with China can use the Senate as a platform to speak up. He also plans to keep an eye on the government’s budget and monitor the performance of the country’s officials. 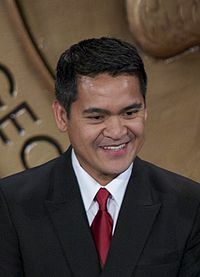 News anchor Jiggy Manicad has left the media industry for a “new level” of public service. Addressing his former colleagues after filing his COC, Manicad said he would use his knowledge and experience in Philippine media to create laws. If he wins, Manicad said he would endorse a “buffer fund” that would soften the blow of oil price hikes in the world market. The fund will be similar to the implementation of oil fund destabilization during the Ramos administration. His other plans include channeling a fraction of tax revenue from OFW remittances to a “reintegration program” for returning OFWs and cultivating nationalism. Initially slated to run under PDP-Laban, Manicad will now run independently, but with backing from Davao City Mayor Sara Duterte’s party. 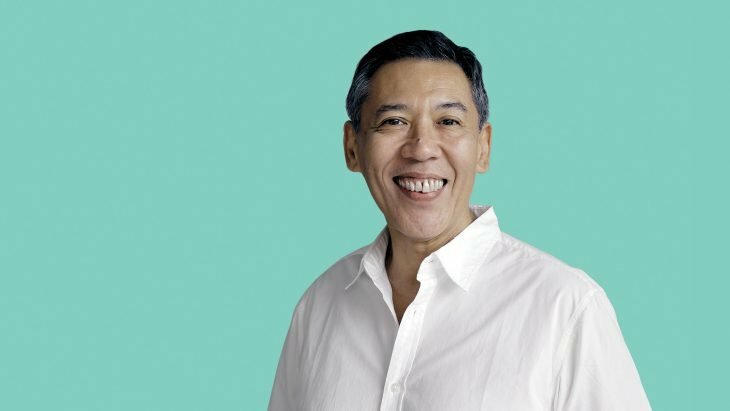 Bong Go is inescapable — from his countless selfies with world leaders to his own jingle inspired by the ‘70s classic, “Bongga ka Day!” His donations and billboards are drawing criticism for possibly violating the government ethics code, but Go asserts that they come from private supporters. 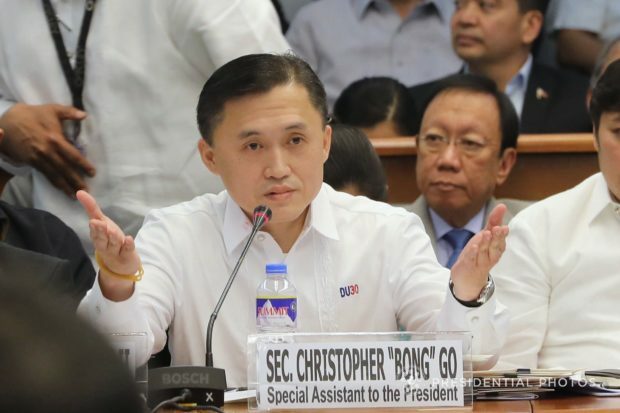 Go, a former Special Assistant to the President, is running under the Partido Demokratiko Pilipino – Lakas ng Bayan political party. His legislative agenda covers programs for health, agriculture, education, housing, barangay welfare, fire protection, and more. He has emphasized the need to protect the media, strengthen the campaign against piracy, and support President Duterte in his thrust for journalistic safety. In a similar vein, Go aims to craft measures that support the local TV and movie industry. Go is the son of a top infrastructure contractor in Davao. A report shows that CLTG Builders — a contractor owned by Go’s father — won about P750 million worth of government contracts between 2016 and 2017. It’s hard to forget how Jose Manuel “Chel” Diokno, son of a Martial Law opposition leader, filed his COC on the same day as Ilocos Norte Gov. Imee Marcos. Diokno, also the founding Dean of the De La Salle College of Law, is running under the opposition ticket of the Liberal Party. On his bid for senator, Diokno shares his goal of “fighting the fear,” especially during a time of extrajudicial killings. At the heart of his campaign is the pursuit of justice for Filipinos. In his protest against the administration, he wants to live up to his father’s name and continue the fight against authoritarian rule. Diokno acknowledges though he carries his father’s unsullied legacy, he does not possess the same charisma. But he is still making a significant impact through his commitment to law, respect for human rights, and excellence in service. Voting puts Filipinos in a position to bring about change. And educating ourselves about the platforms of the country’s senatorial candidates can help us end the cycle of electing leaders from political dynasties. After all, the concentration of power leads to underdevelopment, impunity, and corruption. 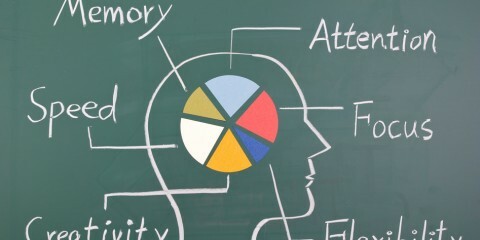 Do You Know Everything There Is to Know about Voting?